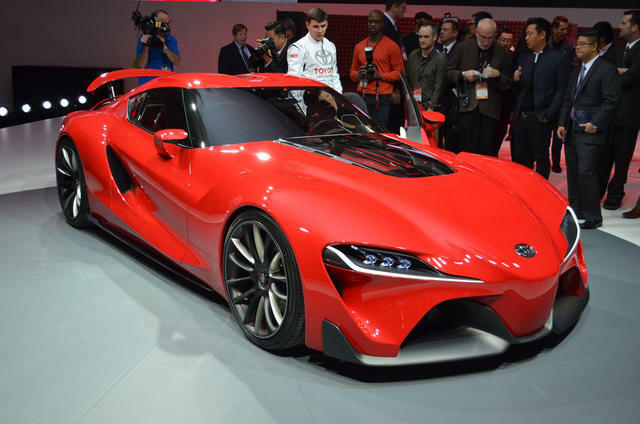 Toyota is making big waves at day one of the 2014 North American International Auto Show. The Japanese company chose Motown as the global stage to unveil its latest concept car, called the Toyota FT-1 Concept. 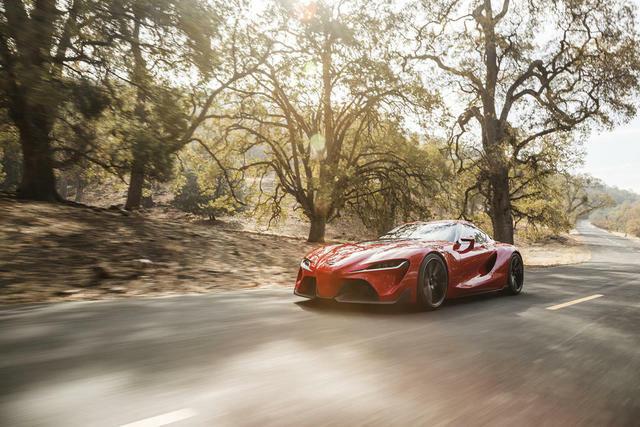 Why not just call it the new supra. The FT part of its name stands for “Future Toyota” while the No. 1 suggests it’s the ultimate. I mean, who wants to be number two. 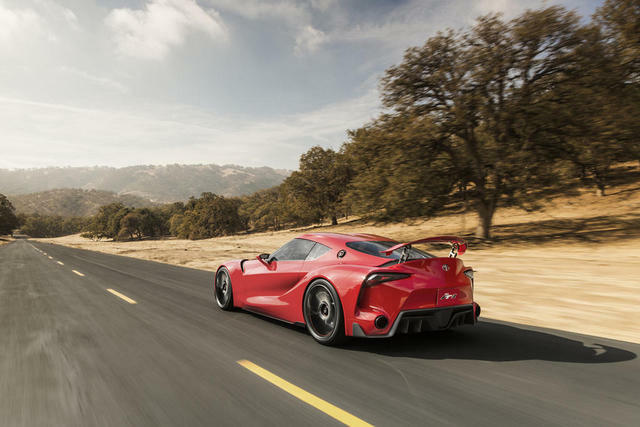 The Toyota FT-1 Concept is an aggressive, track-focused sports car. It’s got a front engine and rear-wheel drive, but more on the powertrain in a minute. This car supposedly indicates the company’s future styling direction. In fact they call it the “spiritual pace car for Toyota Global Design,” which sounds like a really big deal.